Variety, new taste experiences, and gourmet beers are hot topics in trendy bars and upscale gastronomy. 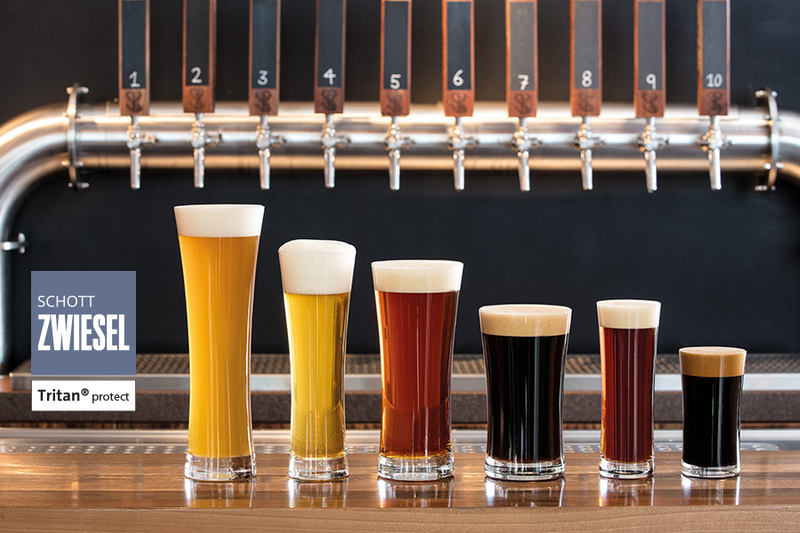 Whether pilsner, wheat beer, or rich dark beer, the BEER BASIC series with its elegant shapes is the perfect companion for a wide range of beer types. 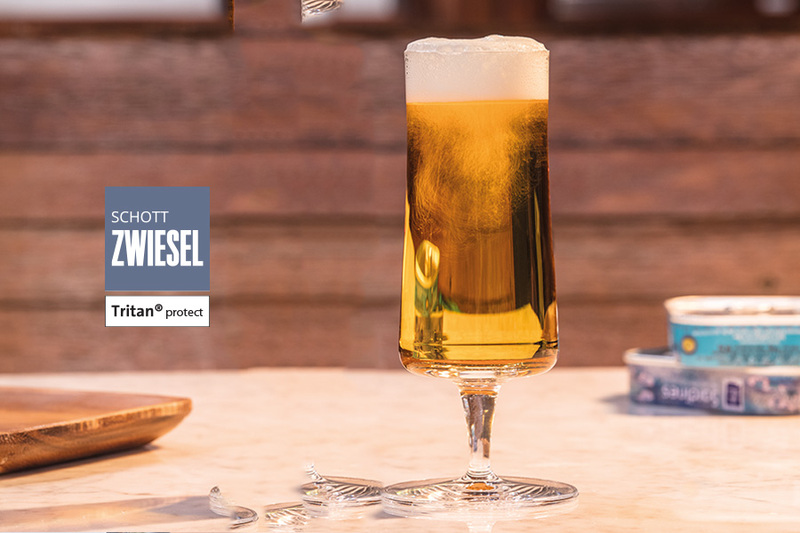 All SCHOTT ZWIESEL bar series, which are geared to professional standards, are just as much at home in the bars of the top hotels as they are in the classic lounge or the trendy bar. 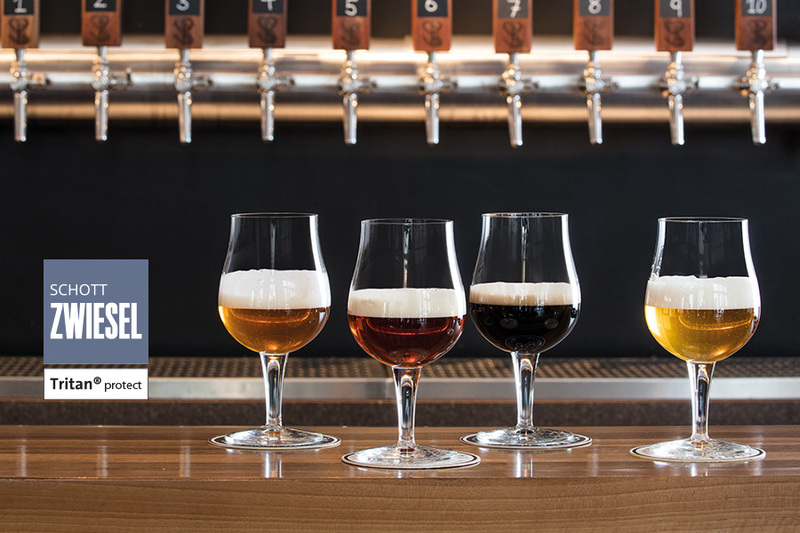 BEER BASIC was developed for the world’s best beers – to meet the requirements of demanding beer connoisseurs as well as those of the international gastronomy. The subtly tapered glasses are slightly flared toward the top, which allows the foam head to unfold. 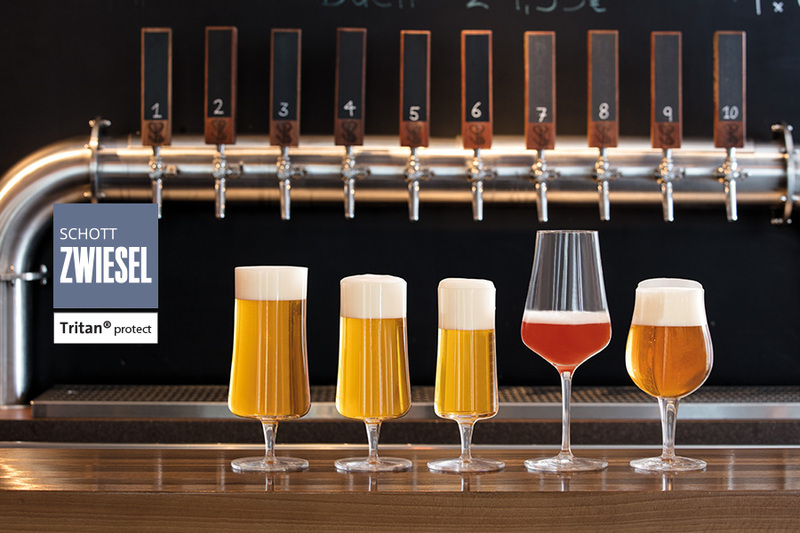 Designed for lovers of advanced beer culture, BEER BASIC glasses offer the right shape for perfect drinking enjoyment. As a special highlight, they feature an effervescence point, which until now has only been known in sparkling wine and champagne glasses. 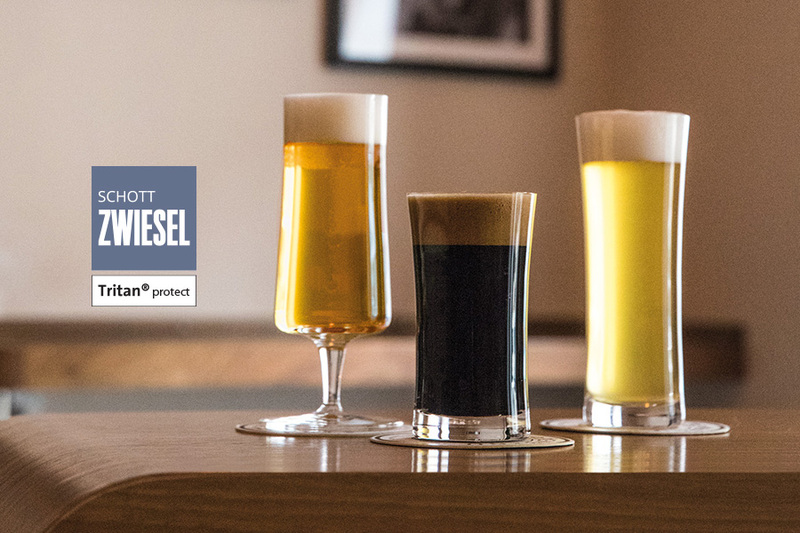 A tiny point in the bottom of the glass, barely visible to the naked eye, dissolves the carbon dioxide bound in the beer to enhance carbonation and foam. 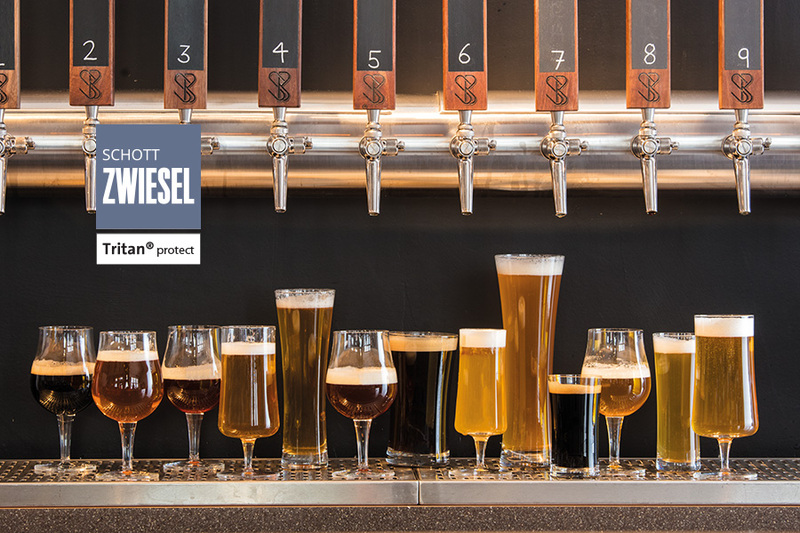 As a result, beer keeps its fresh draft taste much longer and also looks perfect in the glass. 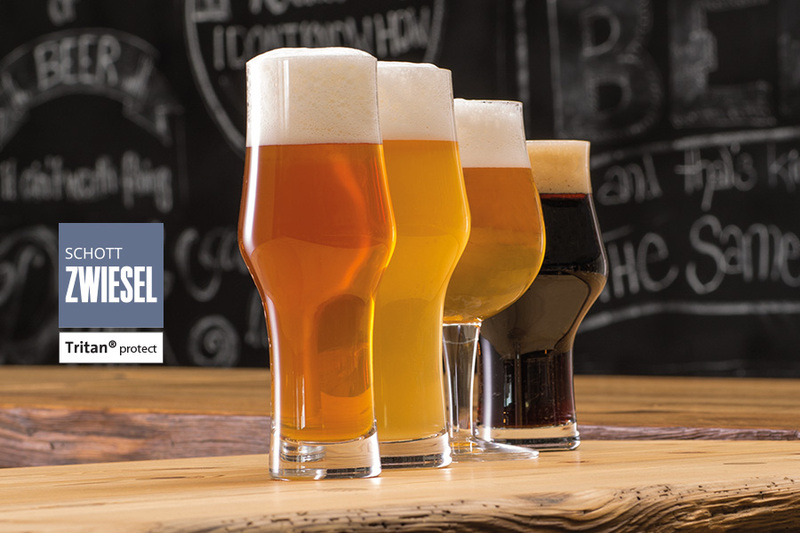 The shape assortment of BEER BASIC CRAFT is dedicated to new craft beers, ranging from IPA to stout, dark ale, or wheat beers. 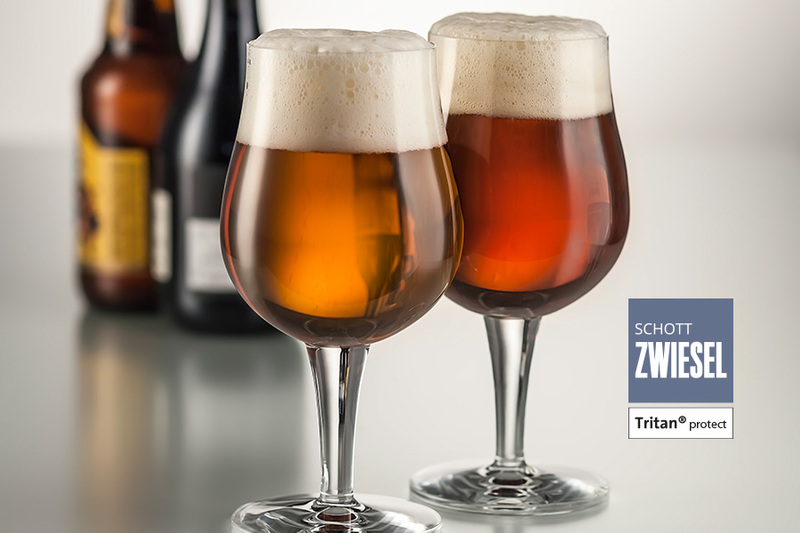 ZWIESEL KRISTALLGLAS worked with experts to develop a concept that perfectly matches the variety of flavors in this new gourmet trend. 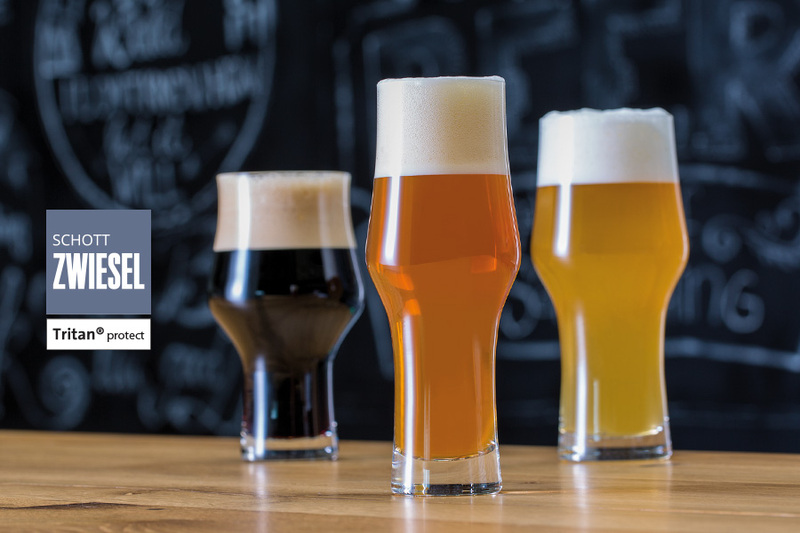 BEER BASIC CRAFT now offers three glass shapes for these beers that excel at emphasizing the more intense flavors and feature a narrow bottom that fits perfectly in the hand. 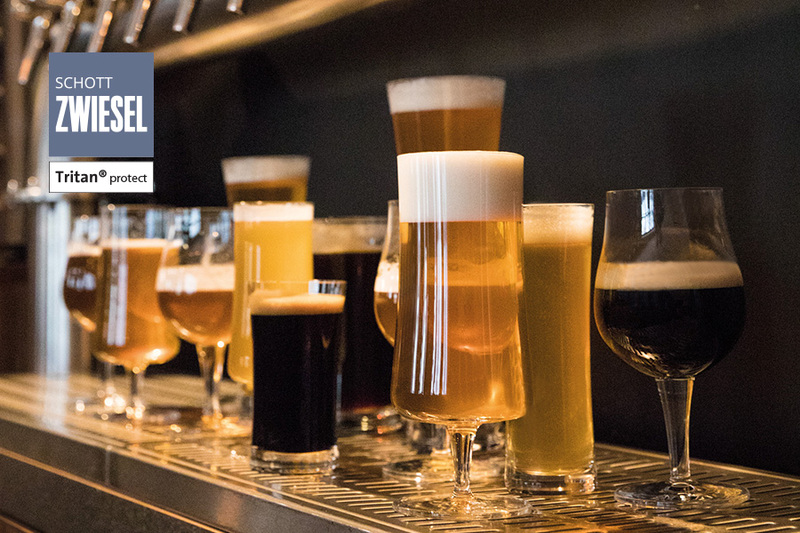 In our News Section, there is a nice article on different types of craft beers and associated glasses: click here.